A brass tube, lid, and roll of candy are presented. 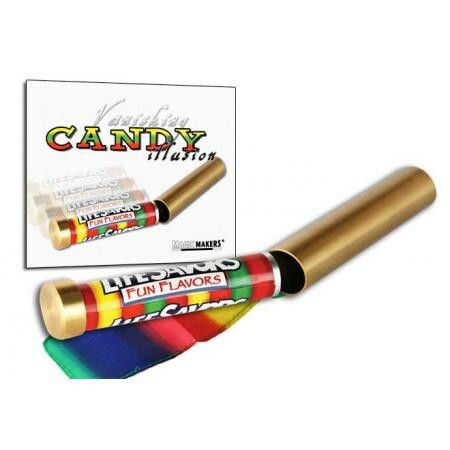 The candy is placed into the brass tube, and covered with the lid. A spectator removes the lid, only to find that the candy has vanished, and in its place is a rainbow colored streamer! Rainbow Silk Streamer is included with the trick. The Streamer measures 34 in. (86.4 cm). Illustrated step-by-step directions included! Online video support!